In a more trusting era, people would remark that “if you want to know if a person is honest, just ask them”. Even though that comment may have been somewhat mocking there was a time when a person’s statements and documents could be trusted…how times have changed! Today, recent studies show that 10.7% of all candidates have a criminal record, up to 30% of all candidates exaggerate on their resume, a third of which make exaggerated claims with regards to their education and, 11% of candidates have a red flag in regards to their previous employment. 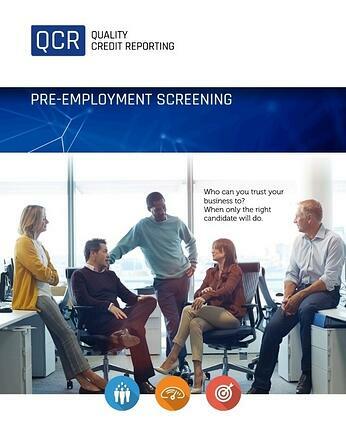 It is no surprise then that many companies are looking to enhance their pre-employment screening procedures. At Quality Credit Reporting, we offer a wide range of services and searches to ensure you can discover everything you need to know to hire the best possible person to represent your company.